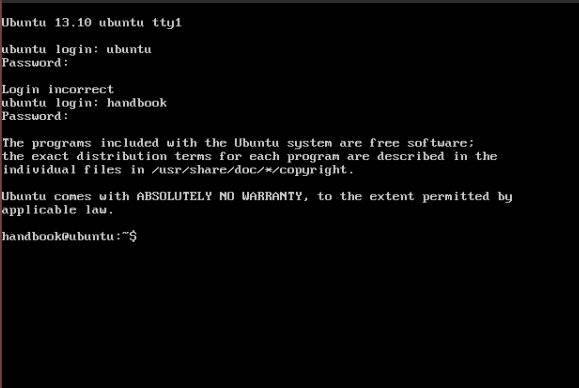 This is a step by step guide for beginners how to create bootable Ubuntu 13.10 Server USB and install it on your computer. 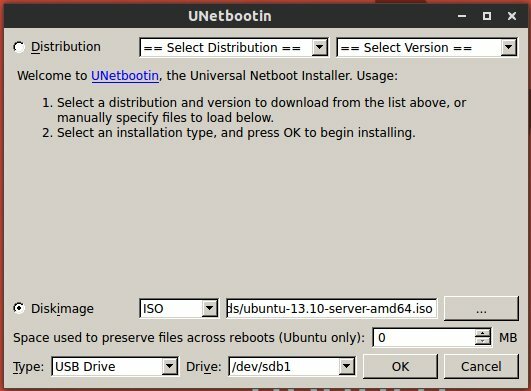 First download Unetbootin executable, a simple tool to install Linux/BSD distributions to a partition or USB drive. It works on Windows, Linux and Mac. Insert USB stick to computer and format (don’t use’Quick format’) to FAT. 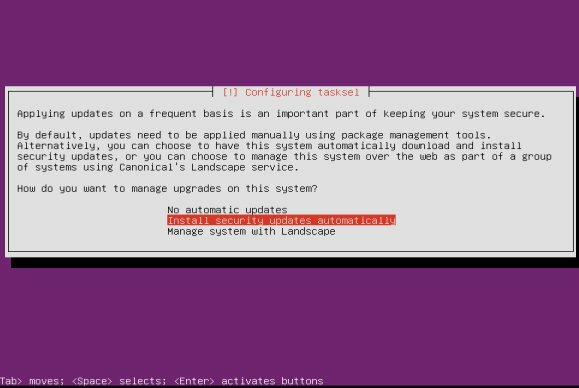 Open Unetbootin, in the picture below choose the Ubuntu 13.10 Server iso and your usb device and finally click OK to start the burning process. Choose your locale settings. Then select YES to detect keyboard layout or NO to select from list. 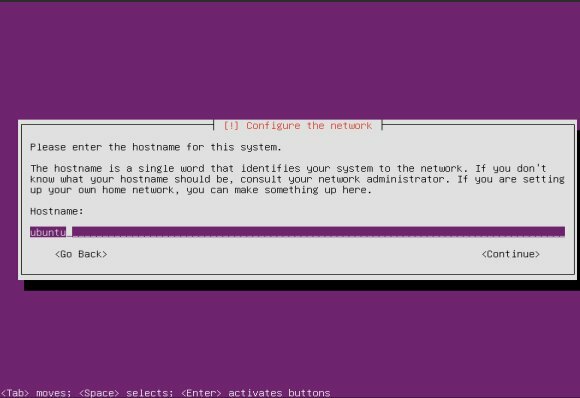 Setup the hostname (Computer name). 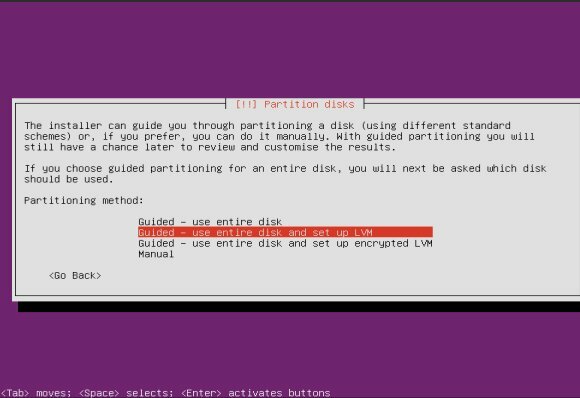 Guided – use the entire disk: it will automatically create the main EXT4 partition and swap area for Ubuntu using all disk storage. 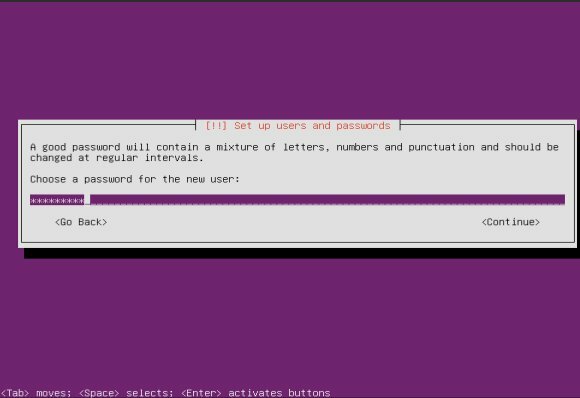 Guided – use the entire disk and setup (encrypted) LVM: it will use the whole disk storage and you need to manually create EXT partition and Swap for Ubuntu Server. 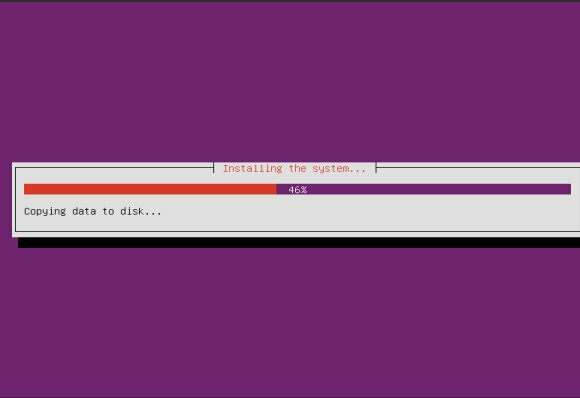 Manual: If you have a dual-boot system or you want to keep a non-system partition on the disk, do it manually. Input HTTP proxy server IP. Leave it empty if you don’t have one. 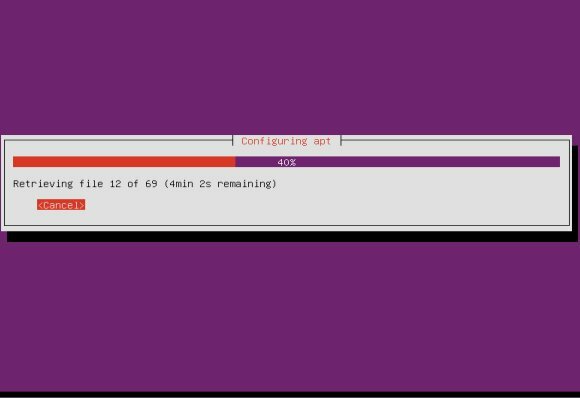 It’ll take a few minutes configuring apt. If want, cancel it and do it afterwards. Now you can select to install OpenSSH server, DNS, LAMP, MAIL, PostgreSQL, Print, Samba, Tomcat, Virtual Machine Host from the list. Use arrow keys to highlight and Space to select, finally press Enter to go on. 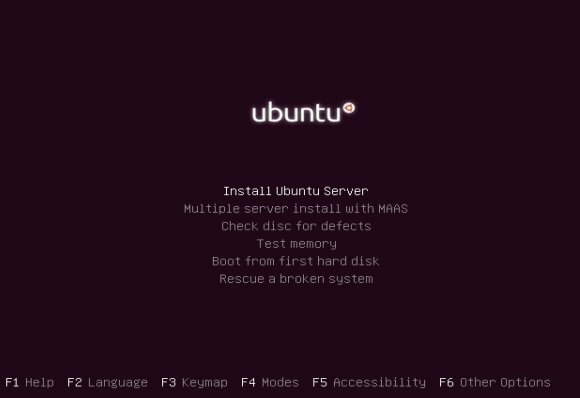 Your Ubuntu 13.10 server is running now!